Terms used on this page include: Moriage - the thechnique of applying liquid ceramic in beads before firing. 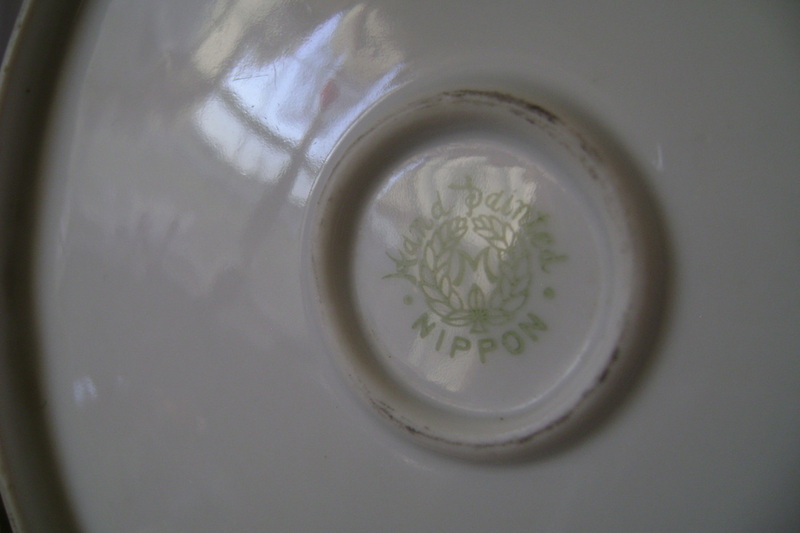 Nippon M in wreath mark - a forerunner of the Noritake mark used late 1800's until the 1920's. Also goes for the IE & Co. and TN nippon marks. 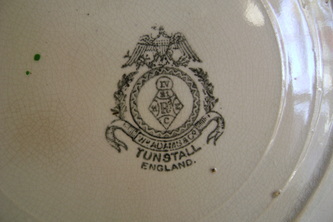 An informational message from the tail wagging Tillie the Wonder Dog. 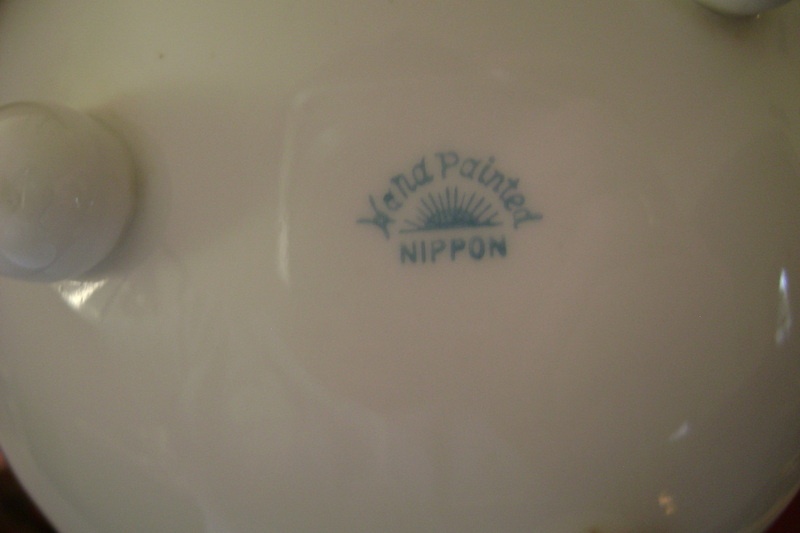 Set of five tumblers marked hand painted Nippon with blue rising sun mark. 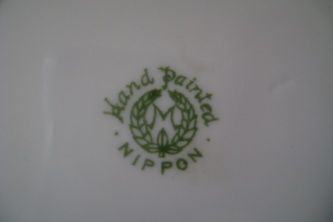 Nippon hand painted M in wreath mark. 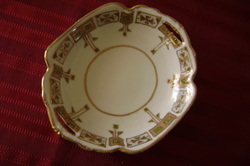 Gold trim on handles a little worn. 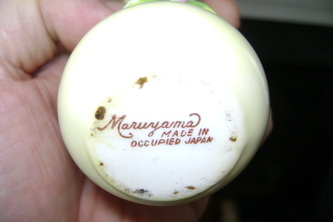 3 1/2"vase marked Murayama Made In Occupied Japan on bottom. 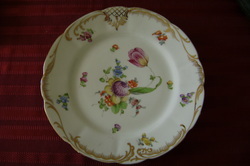 Raised flower and gold trim. 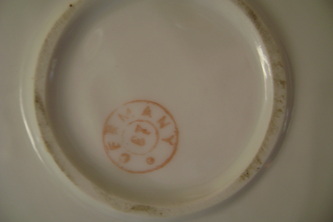 10 1/2" plate marked Germany E7 on back. 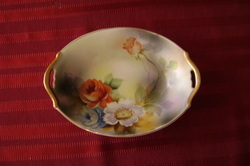 Raised floral pattern with luster edges. 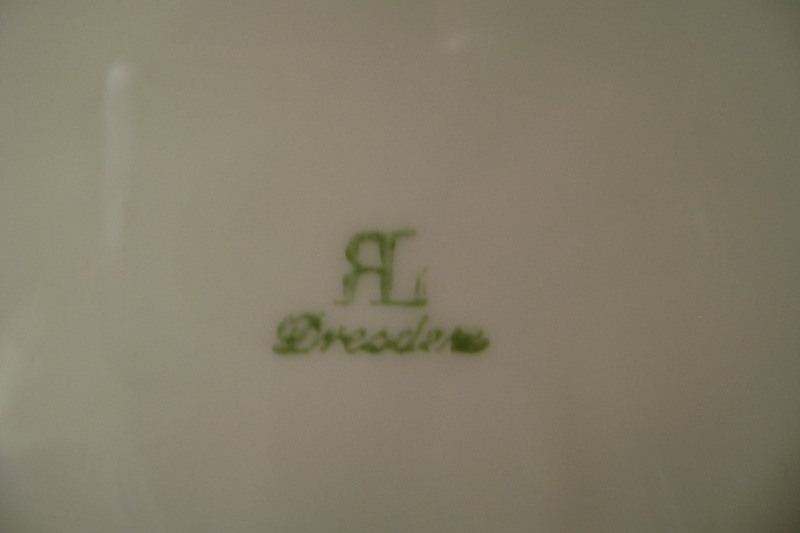 Another of the Blue Ladys' faves. 7" bowl. 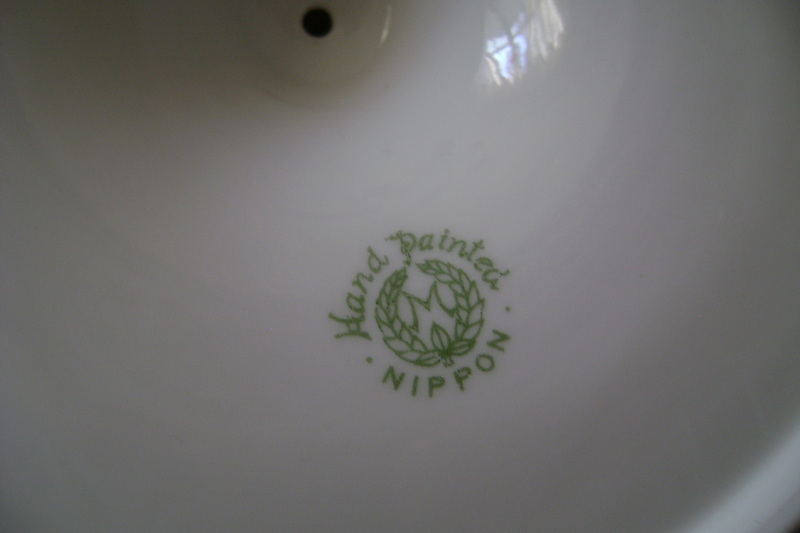 Nippon hand painted M in wreath mark, gold trim, handle. Very nice colors. 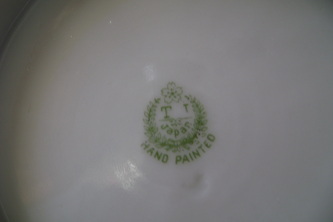 Beautiful moriage and gold piece with TN Japan hand Painted stamp. 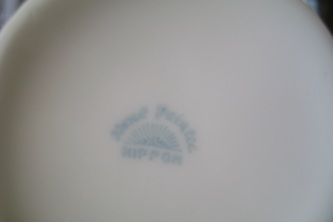 5 1/2"x6 1/2"
Rising Sun Nippon stamp footed bowl and plate set. 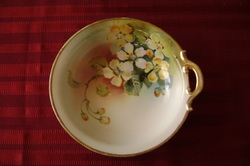 Gold trim and flowers, nice! 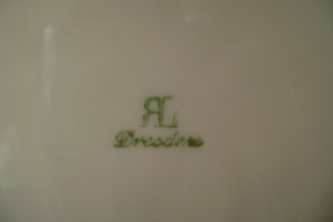 8 1/2" plate marked RL Dresden on back. 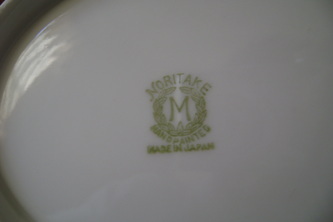 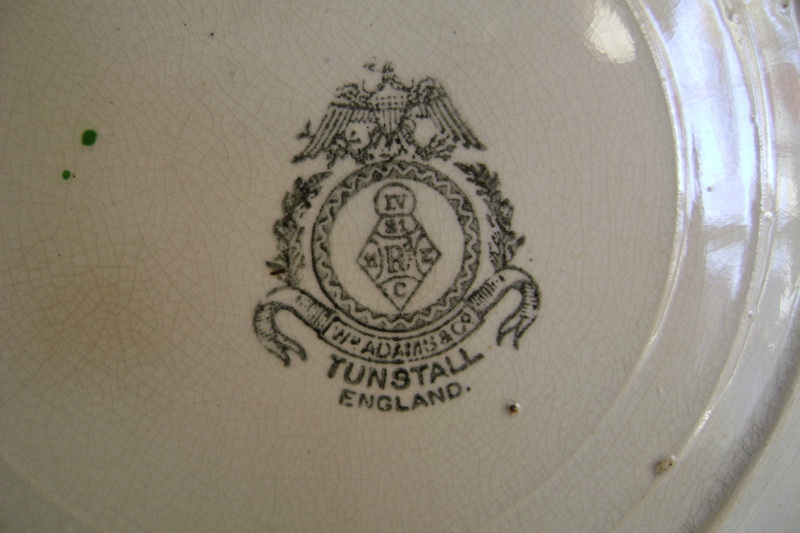 Cannot find this mark anywhere.Still, a very nice plate!